Joy and peace are possible when we maintain healthy relationships with one another. Sadly, issues such as anger, pride, and bitterness often impede healthy relationships. The good news is that Jesus, the Prince of Peace and Great Counselor, can bring healing, wholeness, and freedom from the complex pain that riddles human hearts. 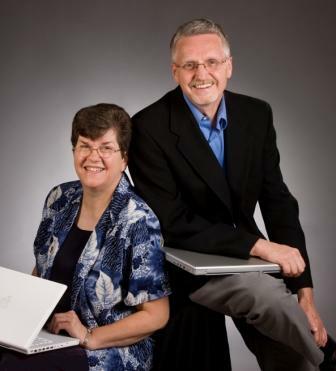 On Saturday, September 8, 2012 at the Akron First Seventh-day Adventist Church, Pastor Bruce and Dorothy Hayward will be presenting a seminar on biblical principles for healthy relationships. You won’t want to miss this practical and life changing study on Saturday morning (10:45 am – 12:15 pm) and afternoon (1:45 – 5:00 pm). Lunch and child care provided. For further information and to R.S.V.P. (to help us plan for food and child care), please contact the church office. Pastor Bruce serves as associate pastor at the Village Seventh-day Adventist Church in Berrien Springs, Michigan. Dorothy founded the WellSpring Family Life and Counseling Ministry in 1998 as a ministry of the Village Church. Since 2004, they have worked together to strengthen and support relationships using a biblical model of counseling. For additional information on their ministry, you may visit their website: http://www.lifespringministry.org/. This entry was posted on Monday, September 3rd, 2012 at 8:34 pm	and is filed under Events.